Ophelia bridal has been open for over eleven years and continues to be one of the go-to bridal shops in the country. With collections such as Essense of Australia, Pronovias and Watters, the gowns are classic, timeless pieces that you will love for ever. A new addition to the showroom is Cabotine of Barcelona. 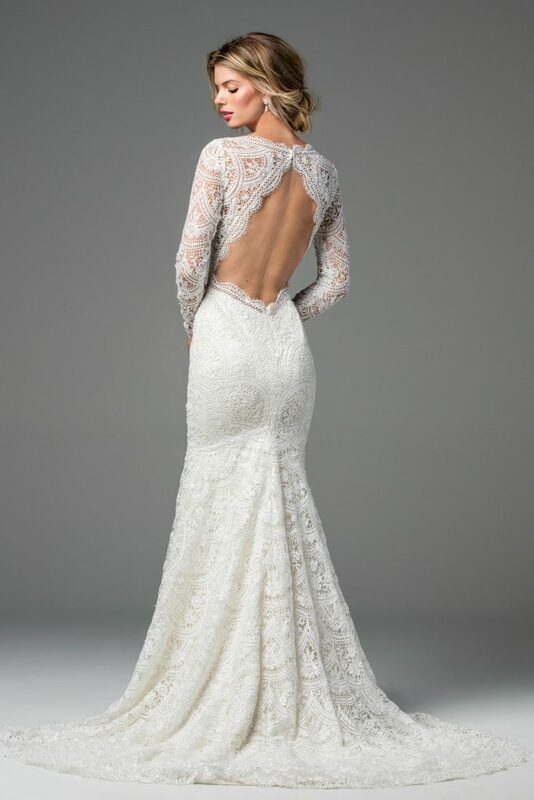 With it`s clean lines and elegant details, the selection of gowns at Ophelia is now complete. Couture designs mixed with stunning fabrics ensure a luxury but a reasonable price. Owner Aoife`s passion for design and dressmaking started at a young age and continued through college where she studied fashion design at the Grafton Academy of Fashion Design, specializing in bridalwear. Initially working from her studio at home, Aoife made bespoke wedding gowns for private clients until she took the plunge in 2007 and opened Ophelia Bridal. All fittings and alterations are carried out in-house by Aoife and it is this attention to details that gives Ophelia Bridal the reputation for outstanding service that it has today. Working along side Wendy, wedding stylist; you are sure to get good honest advice when choosing your gown. You will not be told that every dress is “fabulous”; you will however, be shown how to understand shapes and fabrics and how to best dress your body. It is because of this wealth of knowledge that Aoife and Wendy are able to choose the perfect gown for every bride. Soft silk veils are designed to complement each look and can be coordinated to your specific style with the addition of matching lace or subtle beading.